Create the project by clicking the "Create a new Project" button. Give your project a description and the select Create Project. 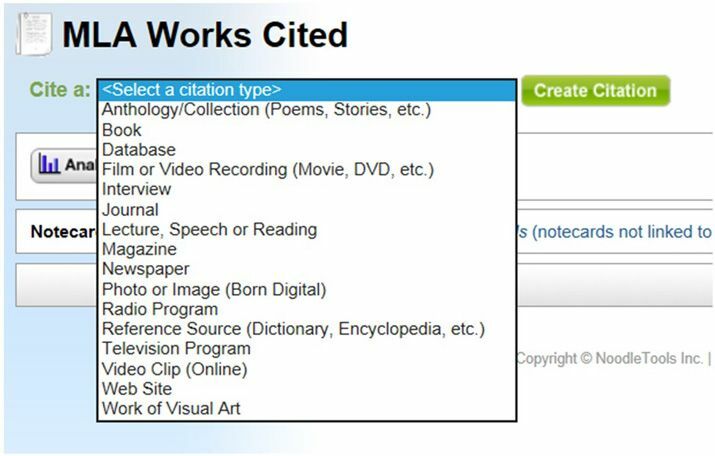 Proceed to Works Cited to create your citations. 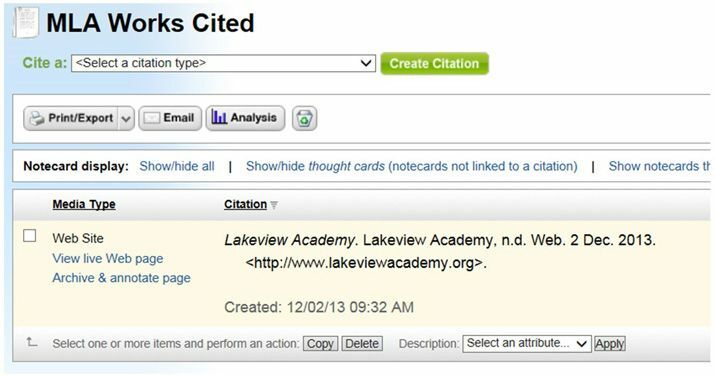 Create a citation: Click on the down arrow to get a list of citation types. 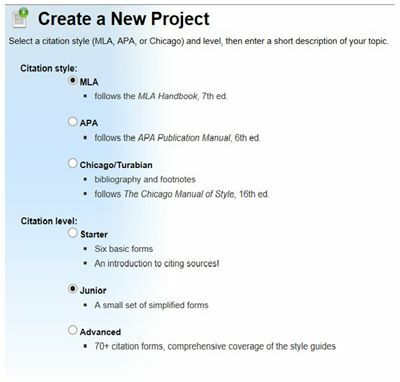 Select the type, then click on Create Citation. 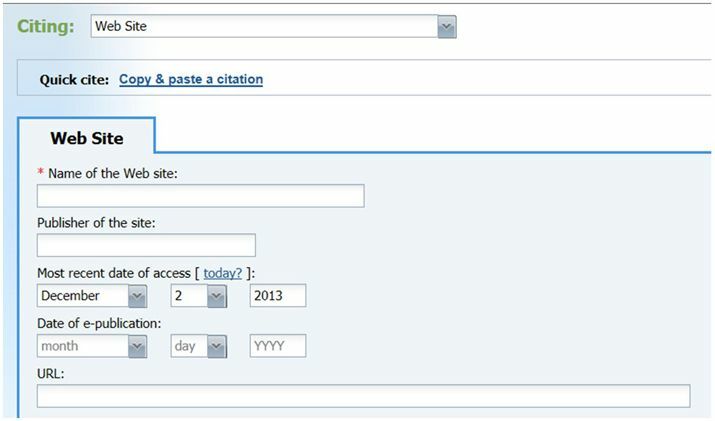 Enter the information for your citation source. This example is for a website. The name of the web site is not the same as the URL link to the site. This will produce a MLA Works Cited entry. It will look similar to this example. 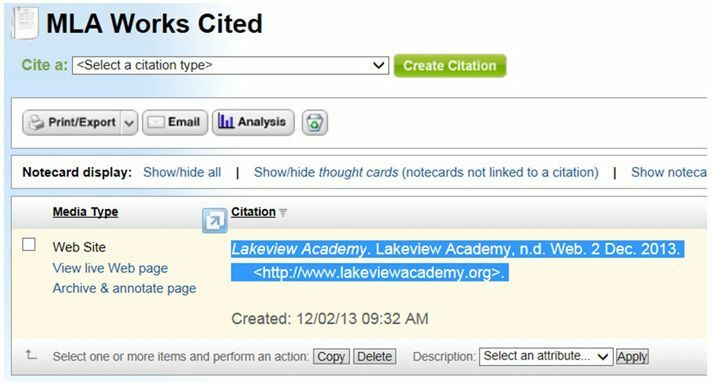 Create a citation for each source you use – this includes images and videos. When you are ready to insert the citations into your project, simply highlight the citation information, then copy and paste it as text into your project. 11. A citation page should resemble this example. From the Works Cited screen, select New under Notecards for the appropriate citation. Complete the information for the notecard. Direct quotes may be copied over from a website, or a summary may be entered about the information gathered. Pictures may also be inserted. Remember to click SAVE. The notecard is now tied to the source and can be easily retrieved. From the Notecard screen, you will be able to visibly see the notecards, laid out on a workspace. A notecard may be created from the Dashboard, however, it will not automatically be tied to the source. 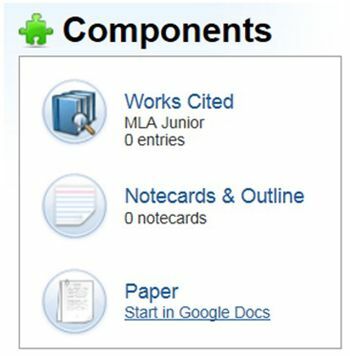 Students may choose to write the paper through Noodle Tools in Google Docs. The paper may then be shared with the teacher, or project partners for editing. Students may create a list on the dashboard which can show which items are completed, and which are left to complete. Students may share a project directly with a teacher, or can set up student collaboration on group projects. 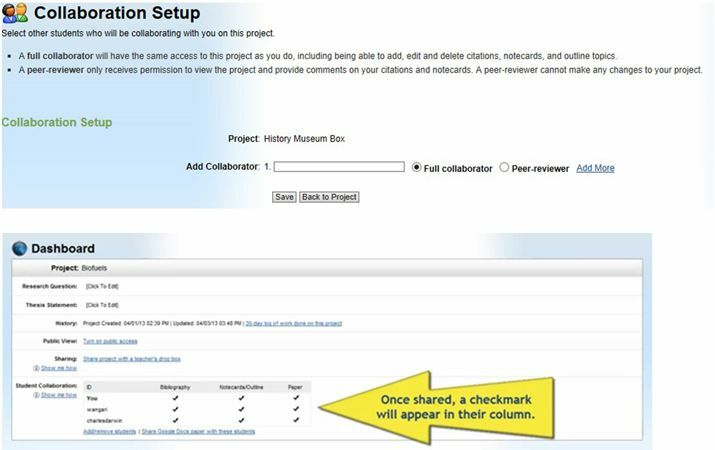 Click Add/remove students beside Student Collaboration. Add collaborators by entering their username, usually firstname.lastname.